This page is designed for a larger screen. If you are viewing on a mobile device, please view the AMP mobile version. 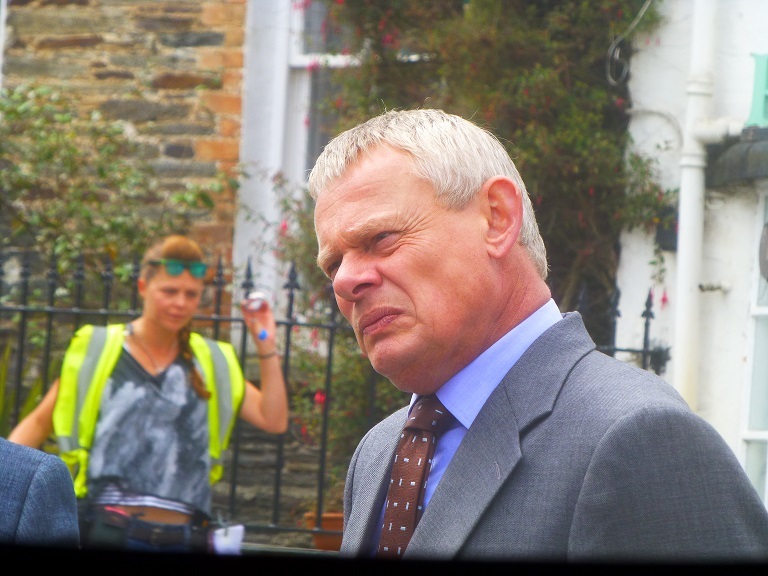 Doc Martin Filming in 2017 for Series 8! Were you looking for Series 7? 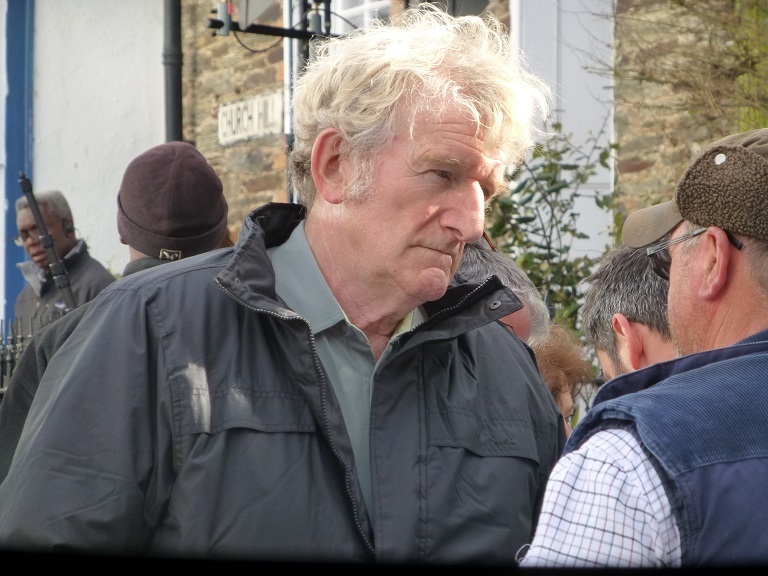 Series 8 of Doc Martin is currently being filmed in and around Port Isaac in the North of Cornwall, and every so often I intend on heading down there to have a little look to see what is going on. Below are some photos and videos of my days out in Port Isaac, enjoy. Multiple cast members were shooting today at the Portwenn school! Today filming took place at the school, where the Portwenn Gig Festival was taking place. 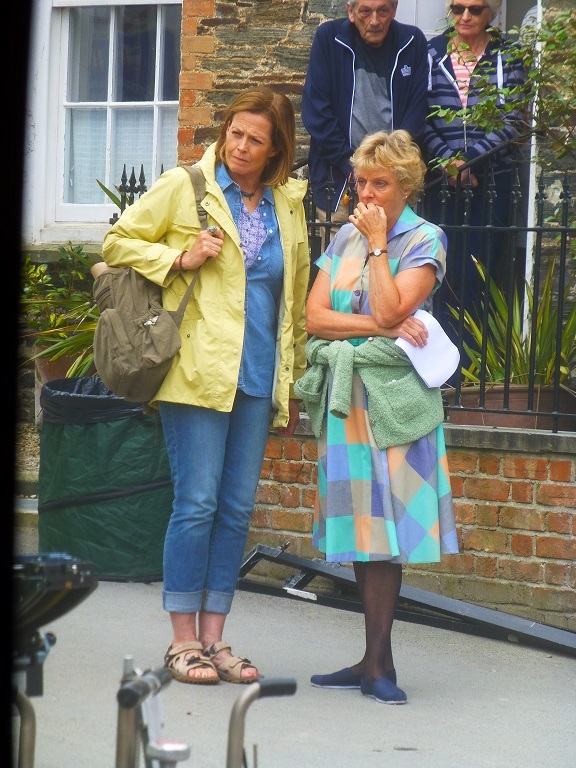 Filming included the festival taking place within the school grounds, and then outside the school gates, where an apparent accident, or near miss occured with Louisa's new car. Caroline Catz (who plays Louisa Ellingham / Louisa Glasson). Due to the filming taking place within the school grounds, it was difficult to get a close up view, so some of the video below was shot from the otherside of the harbour, using full zoom, so apologies for the shakey and less than top quality visuals. Chris Parsons makes his return to Portwenn! 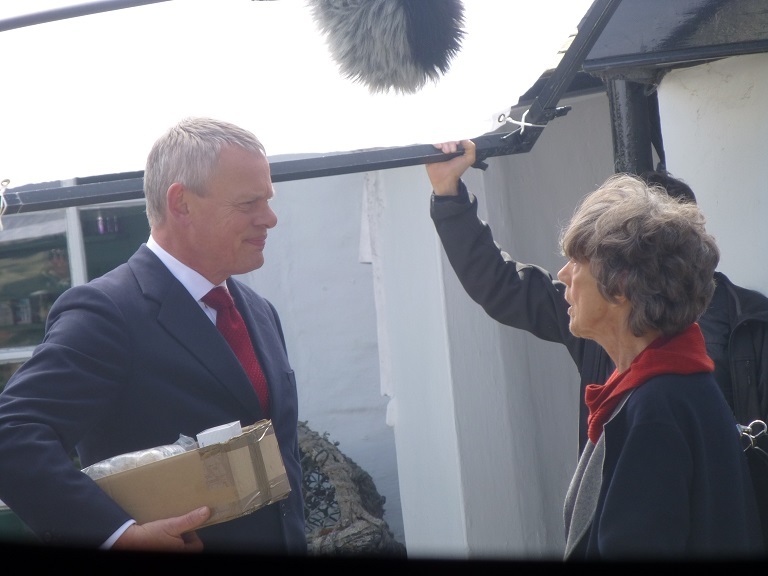 Today filming took place at the Slipway hotel and restaurant, where Doc Martin was meeting Chris Parsons for a formal chat, but who are then interrupted by Beth, after which Beth is confronted by Mrs Tishell. Sigourney Weaver (who plays Beth). Selina Cadell (who plays Mrs Sally Tishell). Vincent Franklin (who plays Chris Parsons). Dodger (the Doc Martin Dog). 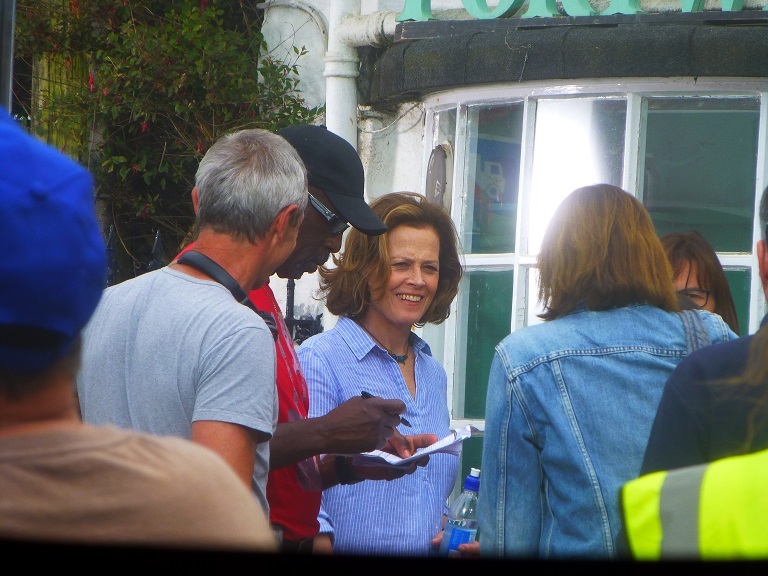 Sigourney Weaver returns to Portwenn! 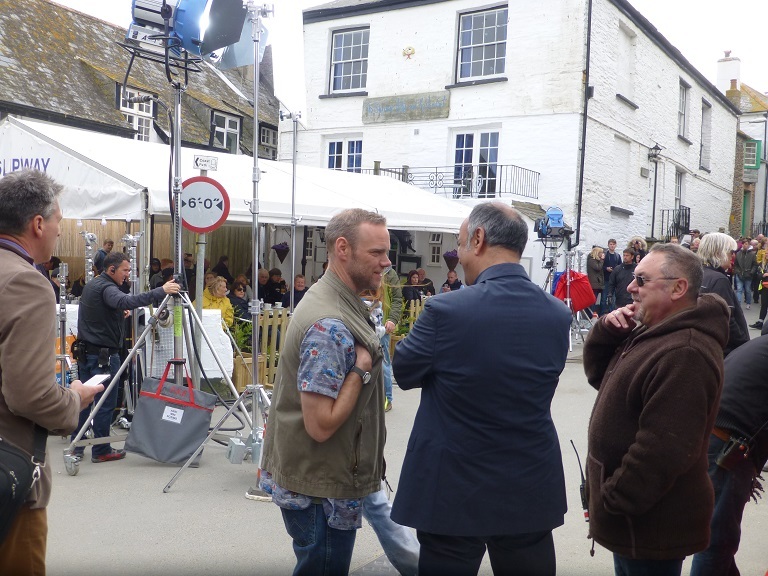 Today filming took place in the heart of the village of Port Isaac, both inside and outside of the Buttermilk Fudge Shop, which is the location used for the Portwenn Pharmacy, as run by Mrs Sally Tishell (played by Selina Cadell). 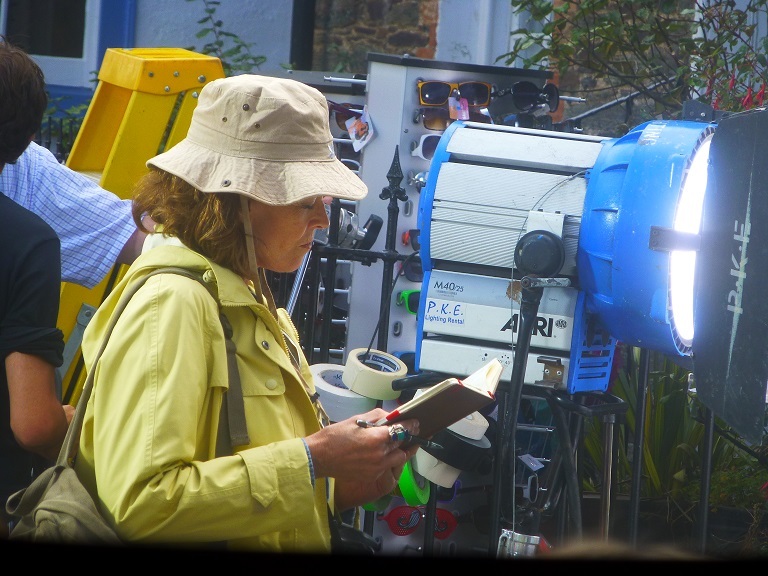 The scene shot inside the Pharmacy appear to show Mrs Sally Tishell becoming involved in an altercation with the returning American Tourist, Sigourney Weaver. Eileen Atkins was also in attendance today. Filming for the 5th July will apparently take place out at sea! Filming at The Old School in Port Isaac was cancelled due to poor weather today! 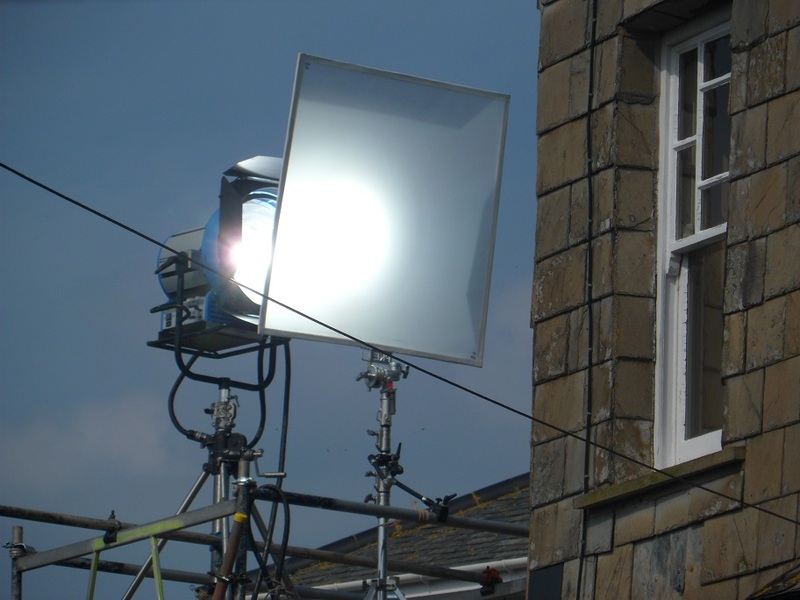 Filming was meant to continue on from Monday at the Old School in Port Isaac today, but due to poor weather, the filming was cancelled. This was due to the fact a "big stunt" was planned for the programme, but such a stunt could not be performed in the weather of the day. Multiple characters were filming today! 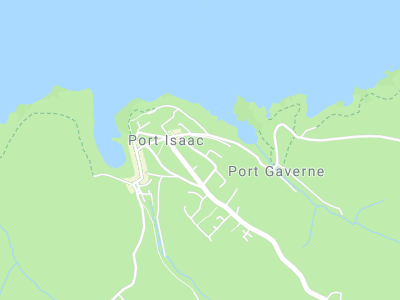 Today filming took place outside of the Portween School, in which a school fete or village fete known as the "Gig festival" appeared to be the scene of the day. Today filming took place outside of the Portween Pharmacy. 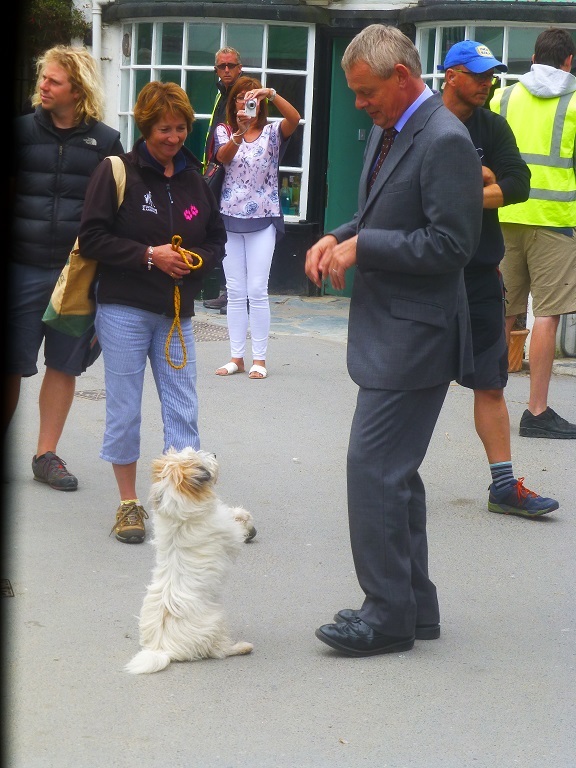 Again, Martin Clunes took quite a bit of time to meet and mingle with the fans who were watching the filming in Port Isaac. Caroline Quentin (who plays Angela Sim, a holistic vet). 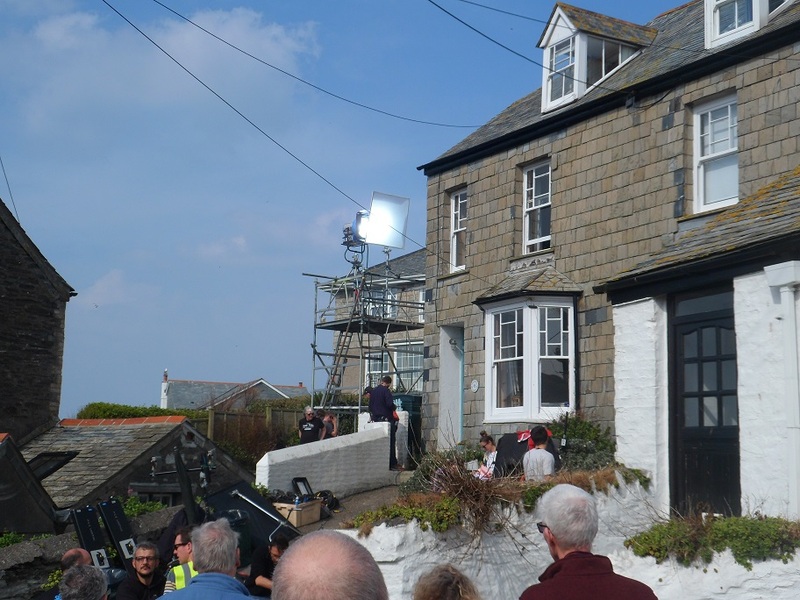 Today filming took place in multiple locations within the village of Port Isaac, which included the outside of the Doc Martin House & Surgery, outside of the Portween Pharmacy, and down by Port Isaac harbour. 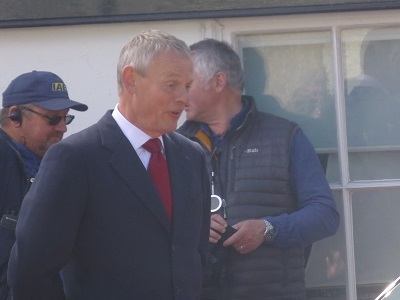 Martin Clunes also took quite a bit of time to meet and mingle with the fans who were watching the filming in Port Isaac. Multiple characters were filming or rehearsing today! 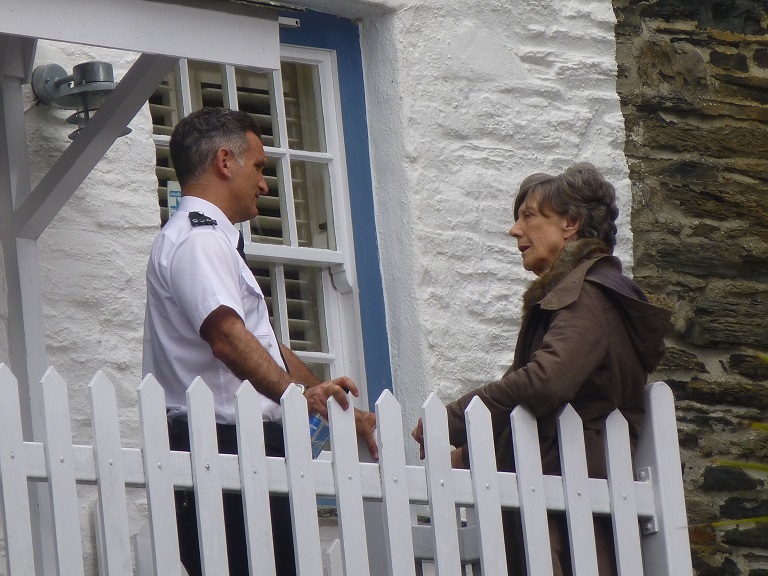 Today filming and rehearsing took place in multiple locations within the village of Port Isaac, both inside and outside of a house that is used as the home of Dr Ruth Ellingham (played by Eileen Atkins), and down by Port Isaac harbour. 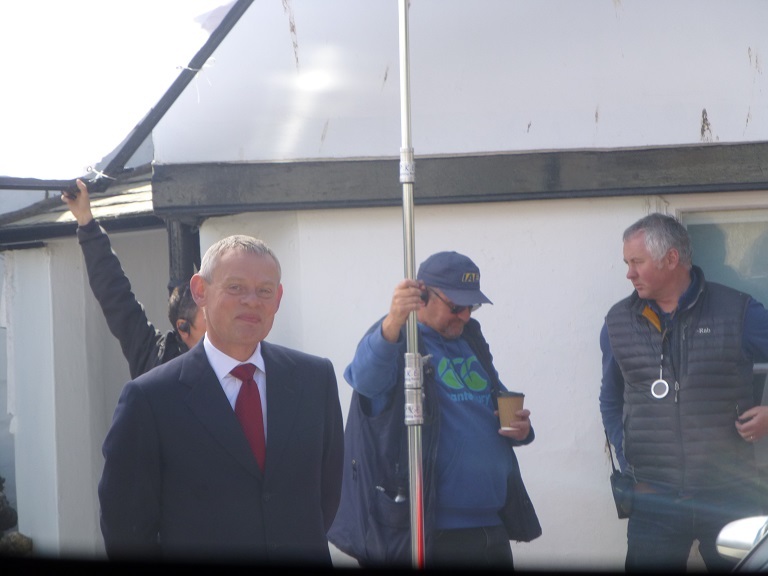 One scene appears to have Dr Martin Ellingham (played by Martin Clunes) attempt to attend to a patient who has become distressed up along the harbour wall, although this was a rehearsal, rather than actual filming. My apologies for the video today not being the best, but I couldn't get as close as I'd have liked to today. 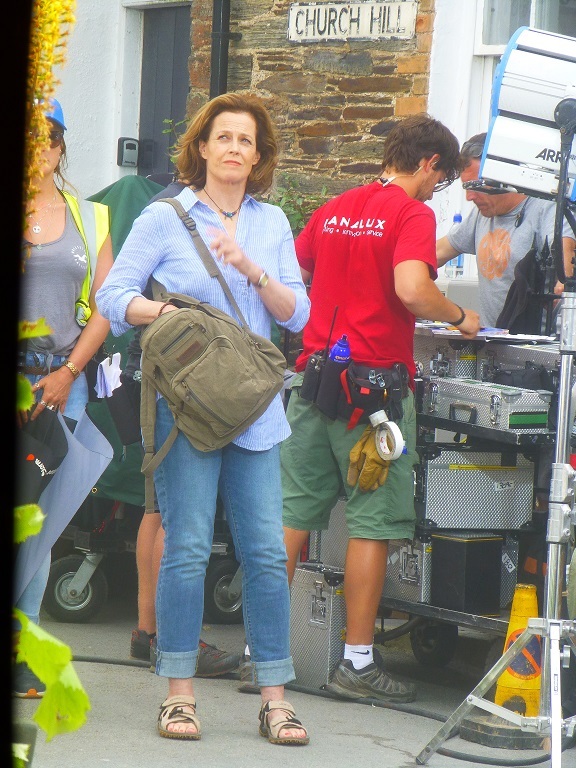 Today filming once again took place in the heart of the village of Port Isaac, both inside and outside of the Buttermilk Fudge Shop, which is the location used for the Portwenn Pharmacy, as run by Mrs Sally Tishell (played by Selina Cadell). 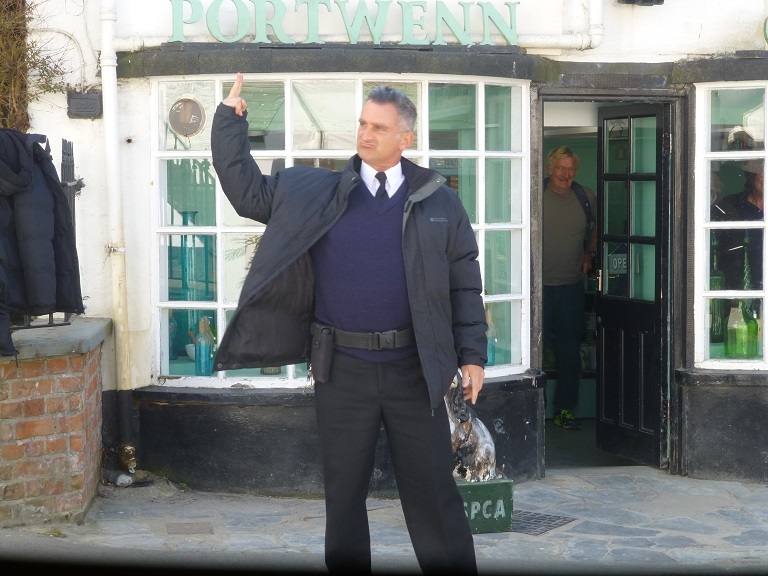 One scene appears to have PC Joe Penhale (played by John Marquez) running down Churh Hill, towards the Portwenn Pharmacy. 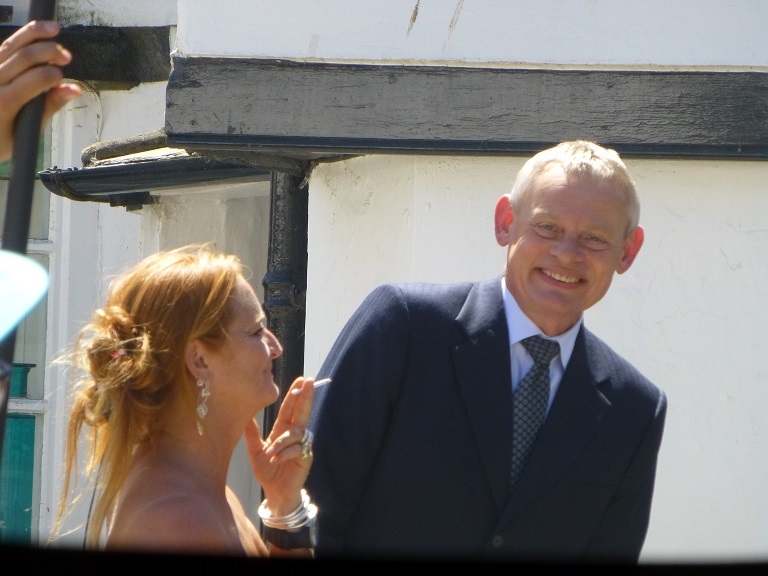 Malcolm Storry (who plays Mr Clive Tishell). 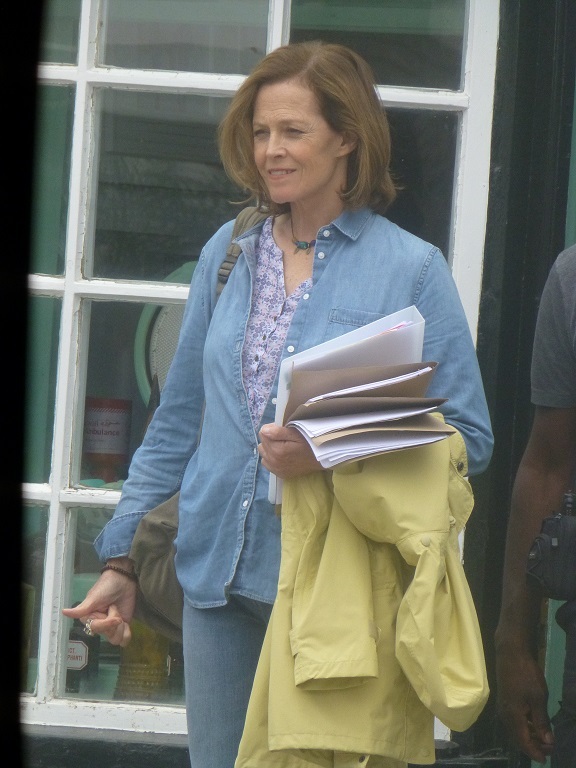 Today filming took place in the heart of the village of Port Isaac, both inside and outside of the Buttermilk Fudge Shop, which is the location used for the Portwenn Pharmacy, as run my Mrs Sally Tishell (played by Selina Cadell). 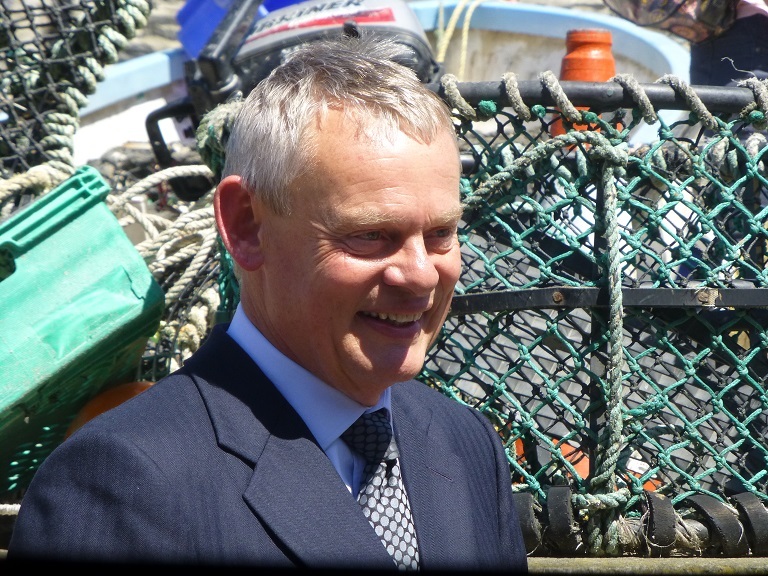 Martin Clunes (who plays Dr Martin Ellingham) and Caroline Catz (who plays Louisa Ellingham (formerly Louisa Glasson)) were filming today! 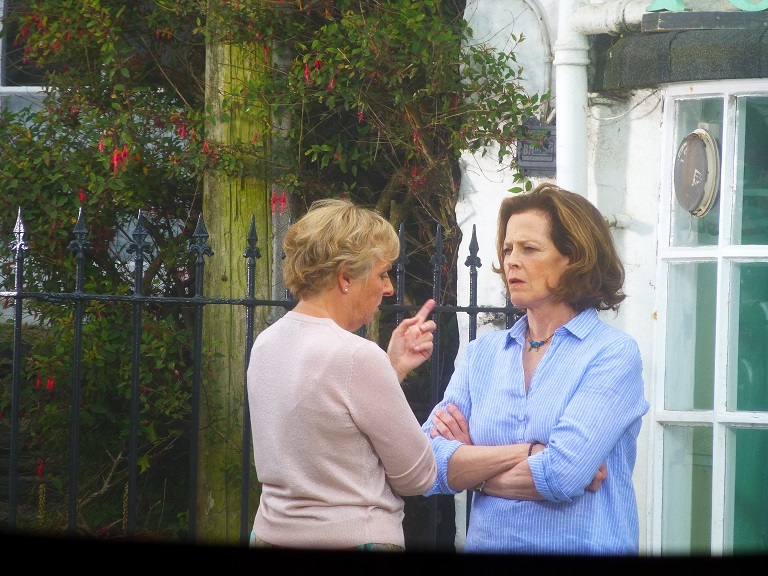 Today filming took place outside Fern Cottage, which is used as the Portwenn surgery. 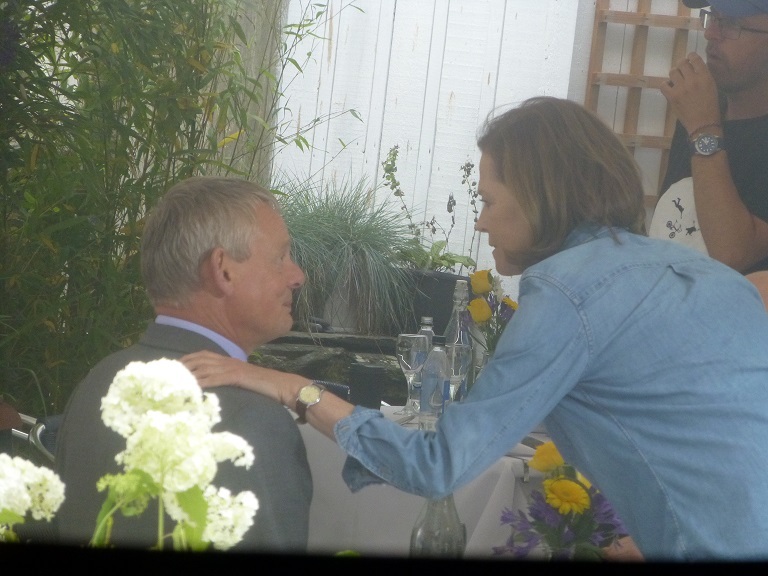 On location today were Martin Clues (Dr Martin Ellingham) and Caroline Catz (Louisa Ellingham). 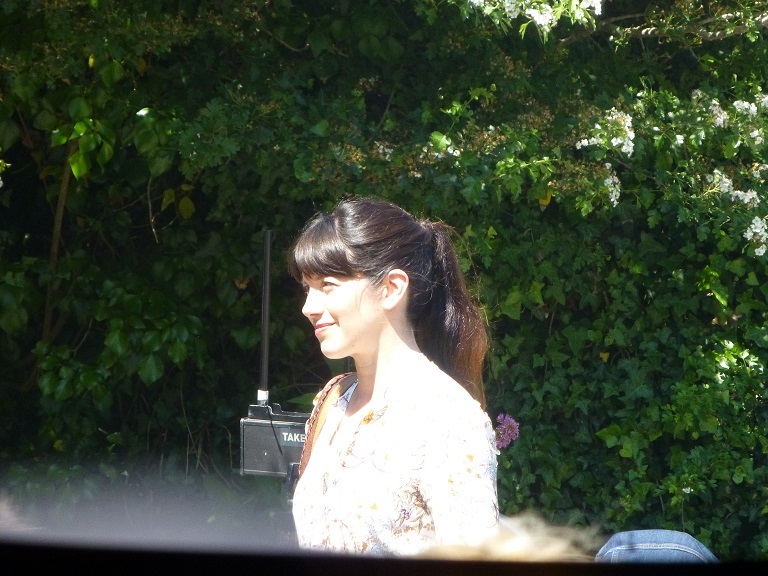 Caroline Catz, who plays Louisa Ellingham (formerly Louisa Glasson) were filming today! 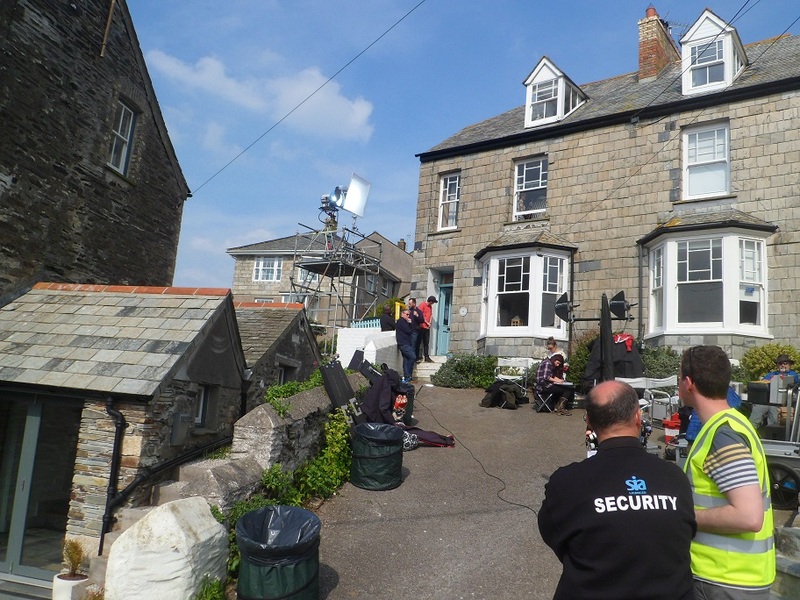 Unfortunately I didn't see a great deal today, but in Port Isaac, Caroline Catz was filming a scene inside 73 Fore Street. 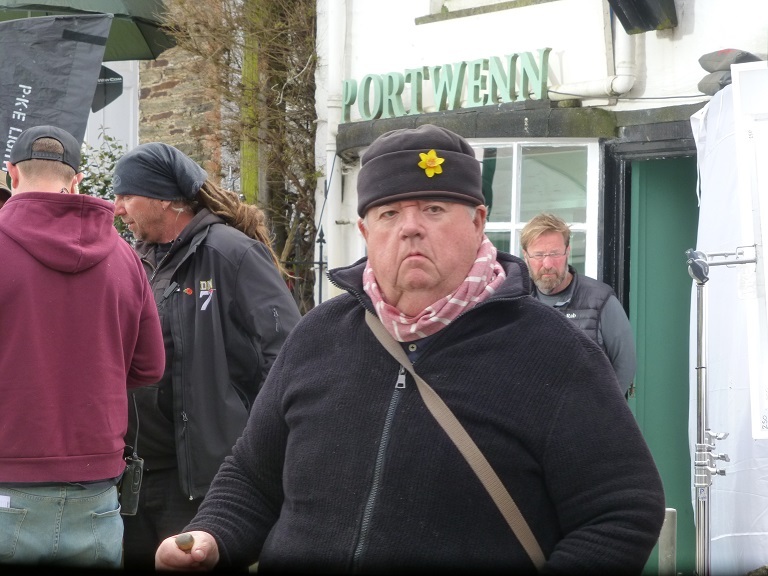 Ian McNeice, who plays Bert Large, was also meandering around the village, though I'm unsure if he was filming any scenes today.